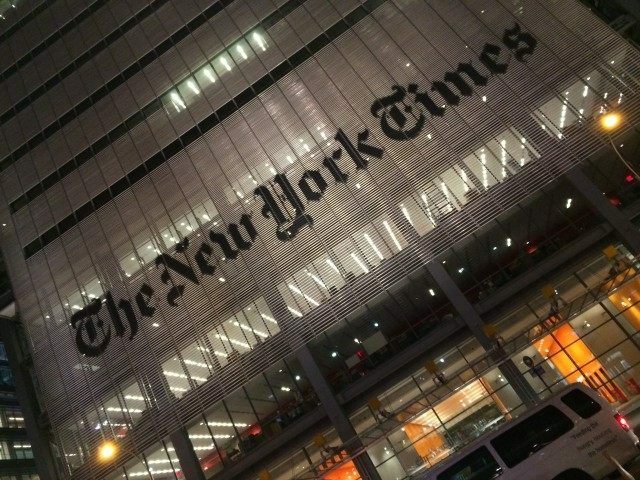 The New York Times has excited the Clinton campaign and the rest of the media with a revelation that Republican nominee Donald Trump declared a $916 million loss in 1995 that might have resulted in him not paying taxes in some subsequent years. The implication, reinforced by CNN’s Jake Tapper on State of the Union on Sunday morning, is that Trump “avoided” paying taxes, when in fact his tax liability was zero. But the Times itself has “avoided” paying taxes — in 2014, for example. New York Mayor Rudy Giuliani defended Trump on Sunday, telling NBC News’ Meet the Press that Trump was a “genius” in business who was simply doing what the tax code allows every American to do by counting losses against tax liabilities, and bouncing back from failure to success. That would include the New York Times — which, however, is still struggling. As Jazz Shaw of HotAir.com notes, the Times — or whoever was its source — likely obtained Trump’s tax document illegally. The ongoing IRS scandal, in which the federal government targeted conservative organizations, involved several cases in which the agency illegally shared taxpayer information with other branches of government, and in one case leaked taxpayer information to a conservative organization’s political opponents. In 2008, the confidential tax information of Joe “the Plumber” Wurzelbacher, who emerged as a critic of then-Sen. Barack Obama, was leaked illegally by an Ohio state official.